In Authors, Users and Pirates: Copyright law and subjectivity, James Meese tells the story of copyright law from the perspective of the three ‘subjects’ it has created: the author, the user and the pirate. Simply put, Meese defines the author as s/he who creates an original (and therefore) protected work, the user as s/he who accesses a copyright work lawfully, and the pirate s/he who engages in copyright infringement. The book retraces the complex ménage-a-trois of this deceptively simple triad of subjects and presents copyright law not just as a legal framework but as a cultural practice in need of greater critical evaluation. The aim of the book is ambitious in many regards. First, its analysis of copyright law is interdisciplinary and seeks to speak to different disciplines simultaneously, such as law and cultural studies. Second, the book approaches from a comparative perspective, covering the US, the UK, Canada and Australia. Finally, the book aims to track the evolution of the author, the user and the pirate within the historical context of copyright law. A tall order indeed, but such ambition is perhaps what the field of copyright law needs to break new ground at a time when reform is actively sought after by both scholars and policy-makers [see here, here and here]. With this book, Reese delivers the first comprehensive account of the author-user-pirate relationship under copyright law. His analysis is grounded in subjectivity and relational theory [for more here and here], which is undeniably the main and most original contribution of the book to the current scholarship. 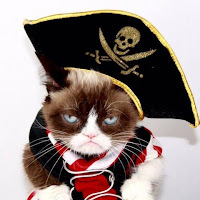 Reese argues that whilst the subjects of the author, the user and the pirate are core to the copyright framework, they remain under-theorised and often poorly understood within the existing literature. Reese puts forward the notion that each of these subjects emerged in copyright law as a prominent component of its narrative because the copyright framework lacked a strong and coherent theoretical foundation in the first place. It is the lack of theory and rationale for the existence of copyright that triggered the creation of the author, the user and the pirate as vehicles or justifications for the introduction and enforcement of copyright. The book contributes to filling this gap in theory or knowledge. However, it should be noted that the author does not go as far as proposing concrete recommendations as to what copyright law might look like if we were to acknowledge its relational dimension and the existence of the author-user-pirate dynamic. Author, Users and Pirates offers a forum for scholars from different disciplines to exchange thoughts on the question of copyright reform in the twenty-first century. As such, this book will be relevant to any academics or student interested in the theory of copyright and its foundational concepts. Book reviewed - Authors, users, and pirates: Copyright law and subjectivity by James Meese (MIT Press, February 2018). Hardcover $35.00 S | £27.00 . ISBN: 9780262037440. 240 pp. | 9 in x 6 in 12 b&w illus. More information available on the publisher’s website here.